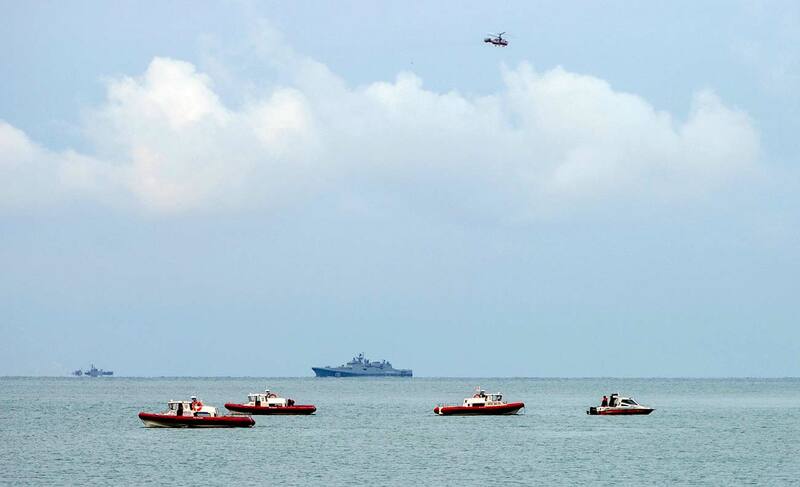 A search operation near the Black Sea coast where a Tu-154 plane of the Russian Ministry of Defense crashed near Sochi. Divers have lifted a fragment of the crashed Tu-154 mid-fuselage from the bottom of the Black Sea near Sochi, a spokesman for the search operation’s headquarters told TASS on Dec. 26. "By now, a four-meter mid-fuselage fragment has been lifted from the sea bottom," the spokesman said, adding that the search operation continues. Earlier, rescuers found smaller fragments of the crashed plane. A Russian defense ministry Tu-154 bound for Syria vanished from radars in the early morning on Dec. 25 shortly after taking off from Sochi. There were 92 people on board the aircraft, including eight crew members and 84 passengers.